I have incorporated a few KBeauty items into my skin routine, but would love to go full kbeauty, but I am never sure what would be a good option for my skin or not. Do you have people on your team that speak with people about their concers, skin type, and what they want to achieve and then recommend products to help them build a skin care routine? There is just so much out there and I feel so lost. I want to be sure my skin’s ph is balanced, but I don’t want acne, I want glass skin, small pores and fight off aging, but theres sooo many products I dont know where to begin! I have some that look interesting, but then second guess myself with others. Hi I have a couple of questions? Does the lactic acid in the water melon sleeping mask come from milk or it’s non dairy? Does the sleeping mask have soy amino acids ? Or just the sheet mask has that ? Your site claims to curate products free of animal dervivatives other than beeswax, but Squalene is listed as an ingredient in Yuri Pibu artichoke power essence. Squalene is derived from shark’s liver. Please clarify. Squalene is a no no for me too but I recently discovered that it can be derived from plants as well. 🙂 I’m not sure what they use in their’s, but it’s worth trying to find out from different products that do use it. It’s pretty exciting to me knowing I can now try a lot of raved about products that I wouldn’t have earlier because they do use squalene. Can you guarantee that product ingredients are not tested on animals? HELP! I purchased your Green tea clay mask at target, used it and broke out in a hot burning red rash all over my face. How can I contact you for advice on what to do? The first time I used it I did not have this reaction. I wasn’t able to find your animal testing policy on your website. Are your products cruelty free? Just wondering which brands you carry that are cruelty free? I saw your under eye bag cream and think I would like to try it. However, I also have dark circles under my eyes. Do you have anything for dark circles? No hablo ingles las vi en tibútiles deseo conocer más de los productos y venderlos en Medellín colombia. I would like to know when using the tea tree essence and cream, which product is the best to partner with it for your eyes???? thank you! that is great as I already LOVE LOVE LOVE that product. moving on with placing my order for Tea Tree E & C………woohoo!!! Can the tree tea oil be used on other parts of the body such as legs and finger tips? Hi there! I am interested in purchasing the pressed serum but unsure of which kind. I was recently diagnosed with rosacea. I did read the descriptions of each but am still unsure which would be best for my sensitive skin. Also, I wanted to make sure your products are cruelty free. I couldn’t find this anywhere on the site. Thanks! Hi Patti, it may be in your spam box, so please search your mail account for love@glowrecipe.com. And feel free to email us anytime, we’re happy to help! 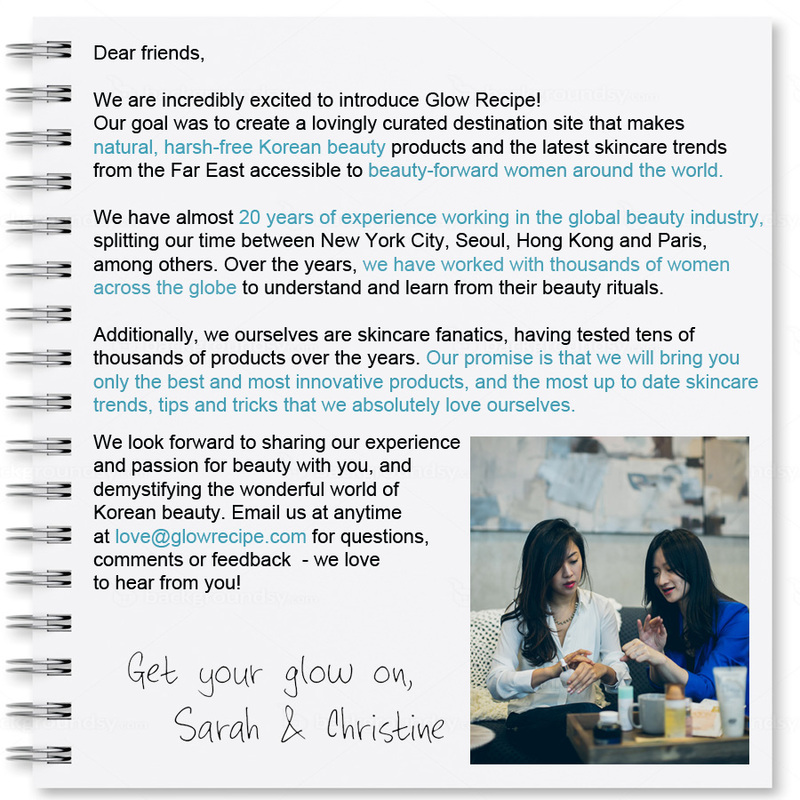 Hi Jane, email us at love@glowrecipe.com and we’ll be happy to help! I placed an order recently and am planning to place another order for over $100- was promised 10% off and was never given the code.